Michigan is 8-3 with three frustrating losses and two solid wins. Here are a few thoughts on what has worked and what hasn’t worked through the first eleven games of the season. 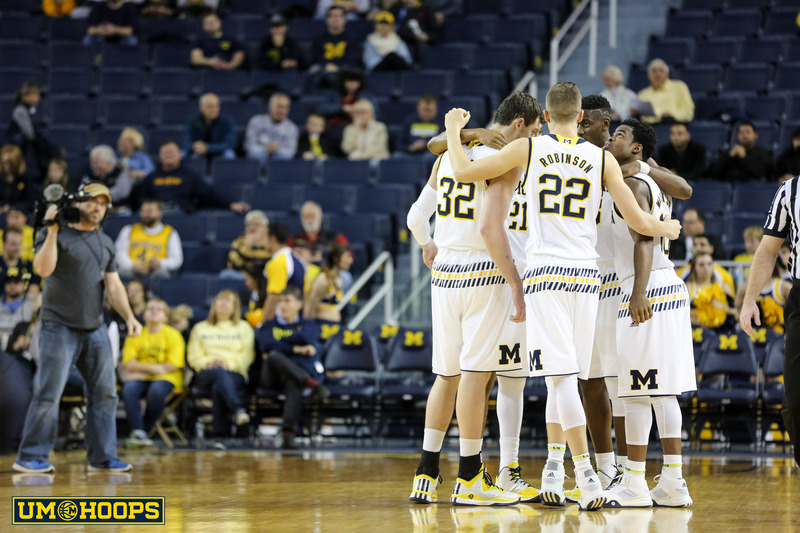 Michigan is 8-3 with two guarantee games to play on the non-conference slate. The Wolverines lost to the three best teams that they faced, but while two of the three are undefeated and the third team is ranked there’s no sugar coating the fact that they looked bad in all three losses, losing by a combined margin of 54 points. But Michigan also has a couple solid wins over Texas and at North Carolina State and their resume thus far probably qualifies as holding serve. To make the NCAA tournament with any sort of comfort, the Wolverines are going to have to pick up a few breaks in conference play. Here are a few thoughts on what has worked and what hasn’t worked through the first eleven games of the season. 1. Zone defense doesn’t work. Michigan doesn’t have a good defense. The Wolverines are ranked 103rd nationally in adjusted defensive efficiency and have 242 points in 200 possessions in their three losses for a disastrous 1.21 points per possession. While the defense has been bad overall, Michigan’s zone defense has been nothing short of awful. According to statistics from Synergy Sports, Michigan has allowed 76 points in 64 possessions of zone defense. That’s an atrocious 1.19 points per possession which ranks in just the 7th percentile nationally. The argument can be made that Michigan has usually only gone to the zone in games where its defense was already struggling, but on the whole the half court man-to-man defense has been significantly better. Michigan’s man-to-man defense grades out in the 88th percentile with just .759 points per possession allowed in half court sets. The Wolverines have played equal parts 1-3-1 and 2-3 zones and both have been failed ventures this season. The 1-3-1 zone was notoriously picked apart by SMU, which repeatedly lobbed the ball over the top, and the 2-3 zone hasn’t been much better. Zone looks have changed games for Michigan in the past, but for whatever reason this year’s zone isn’t working. Michigan’s offense was way off track at this point last year because for one reason or another the pick-and-roll game wasn’t working. That isn’t the case this year. Michigan might not be on the same record setting pace that it was in 2013 or 2014, but the Wolverines’ ball screen game is working just fine. Before LeVert and Walton were sidelined last year, the Wolverines were scoring .86 points per ball screen possession including passes, according to Synergy Sports. Michigan fixed some of those problems late in the season as Zak Irvin and Spike Albrecht emerged and appears to have picked up where it left off last season. This year the Wolverines are scoring .958 points per ball screen possession and have four above-average creators in the pick-and-roll game in Caris LeVert, Zak Irvin, Muhammad-Ali Abdur-Rahkman and Derrick Walton. Walton and Irvin both grade out above the 85th percentile in creating their own ball screen offense while LeVert has struggled a bit shooting off the pick-and-roll in the 65th percentile but is accounting for 42% of Michigan’s pick-and-roll offense. The biggest red flags on Michigan’s defensive profile are spot up and isolation defensive possessions, according to stats from Synergy Sports. Teams are simply shooting over or driving past Michigan defenders. The Wolverines grade out in just the 8th percentile nationally in defending spot up possessions. That speaks to bad rotations and wide open shots and also poor close outs allowing straightline drives to the basket. Neither of those should come as any surprise to fans that have been watching the Wolverines play this season. Michigan also grades out in the 29th percentile in guarding isolations (including passes) and its the passes that have done it in. Michigan is allowing dribble penetration and then over helping, leading to the easy sort of dunks that we saw against SMU. Michigan has given up 20 points in 17 pass outs from isolation drives this season. Better close out angles and better defensive rotations can fix some of these problems, but this isn’t a defense loaded with players who appear to be plus-defenders. On paper, Zak Irvin and Derrick Walton have been two of Michigan’s best. It’s probably still too early for this number to mean much, but Michigan is dominating out of timeout situations this year. The Wolverines are scoring 1.029 points per possession after timeouts (92nd percentile) and allowing just .649 points per possession after timeouts (93rd percentile), per Synergy. Outscoring opponents by a .38 margin per possession out of timeouts is impressive, but much of this could just be the statistical noise of some of the lower-level competition that Michigan has faced. Moritz Wagner scored 26 points in the final two games of the Battle 4 Atlantis and many were ready to anoint him Michigan’s new five man. Since he returned to the States, things haven’t been as smooth. He played 23 minutes and scored 8 points against NC State, but his minutes have shrunk in recent games. He’s averaging just 10 minutes per game over the last four games and is 1 of 7 from the floor with four turnovers. He played just three minutes on Tuesday and was pulled early for a blown pick-and-roll coverage before Mark Donnal played one of his better games of the year. There’s no question that Wagner has more potential than any of Michigan’s big men, but he’s had the tendency to hurt the Wolverines with negative plays. He has to learn to do more by doing less, one of John Beilein’s favorite phrases, and he’ll have to continue to improve defensively where the Wolverines have struggled. With two more guarantee games left on the schedule, it would be nice to see him get an extended shift and start to get his feet under him before Big Ten play, where his services are certain to be required sooner than later.